Most of you coming to the RoundTable will be flying in. The nearest airport is Kansas City International (code=MCI). The airport is on the far northwest side of town and we’re on the south side, so it’s a 45 minute drive with moderate traffic. Google map with directions is here. 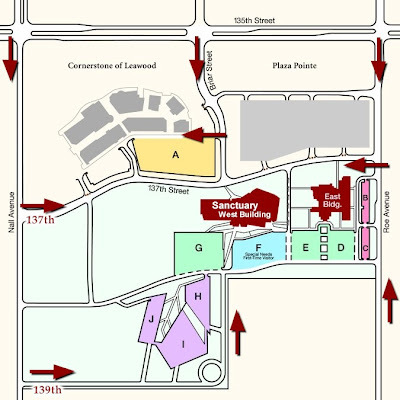 Park in Lot B or Lot D. Campus map here, or print this post. Enter the East Building near the SE corner. You’ll find the receptionists at the crossroads between the main east-west hallway and the main north-south hallway, next to the Memorial Garden. They will direct you from there. East Building floor plan is here (on the floor plan drawing ground floor is on the left, lower level is on the right). Conference check-in will be in the hallway outside Rehearsal Hall A on the lower level. It’s a big, confusing building. We’ll have signs up to help you as much as we can.